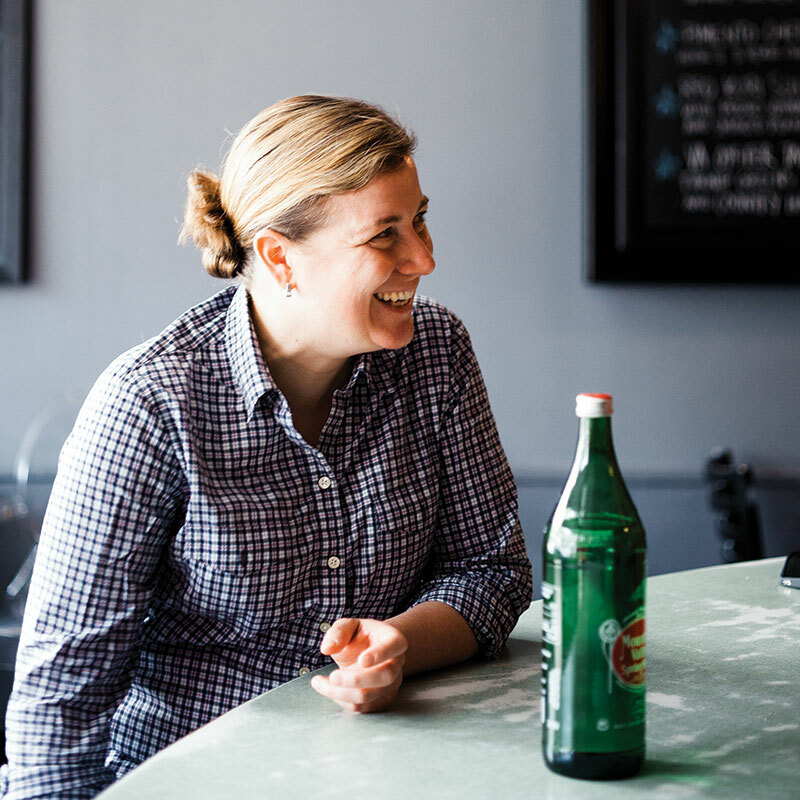 The queen of Raleigh’s restaurant scene talks Southern cuisine and cast iron. 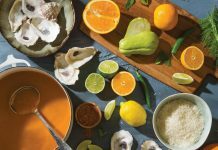 Chef and restaurateur Ashley Christensen is often referred to as “self-taught,” but in truth her education in Southern food started at an early age in the small town of Kernersville, North Carolina. “Both of my folks are incredible cooks, and food was a big part of our lives,” she recalls. 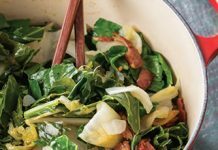 “My mom has this really neat, distilled take on Southern food—that it’s all about what grows here, and how our experiences and traditions influence what our food becomes.” This culinary home schooling also introduced Ashley to the South’s favorite cookware. A sturdy cast-iron skillet was always at the ready in her mother’s kitchen, just waiting to fry up a crispy batch of chicken or to cook up some rich, peppered beef gravy to ladle over toast for an indulgent breakfast on a lazy Saturday. “That skillet was always sitting on the stove,” Ashley remembers. A product of her mother’s homegrown philosophy, this James Beard Award-winner developed a heart and soul for the food and hospitality of the South that couldn’t be conveyed in a single restaurant—so she opened six. 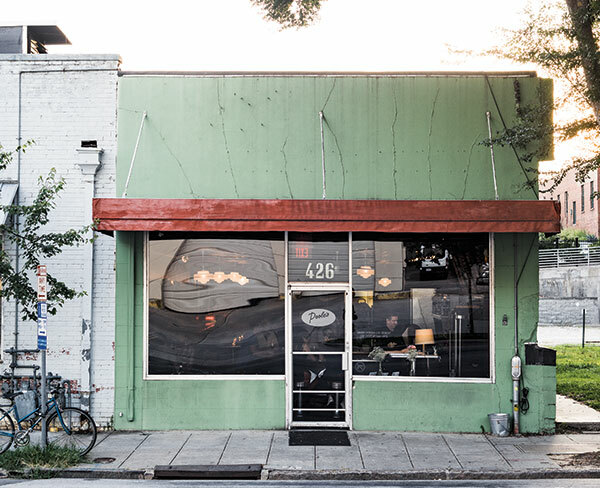 From Beasley’s Chicken + Honey, an ode to her mom’s buttermilk fried chicken that was often doused in honey harvested by her hobbyist beekeeper father, to Chuck’s, a burger joint using only pure ground chuck, each of Ashley’s restaurant concepts specializes in taking something simple to a new and delicious level. It all goes back to her roots: Poole’s Downtown Diner, the flagship of her culinary dynasty, where down-home comfort food gets the attention it deserves. Ashley’s signature roasted chicken is another cast-iron concoction that gets a little something special from the skillet. “We get the chicken searing, then cut an onion in half and add it face down so it can contribute to that cooking oil,” Ashley says. “Then we add the aromatics and move it to the oven. 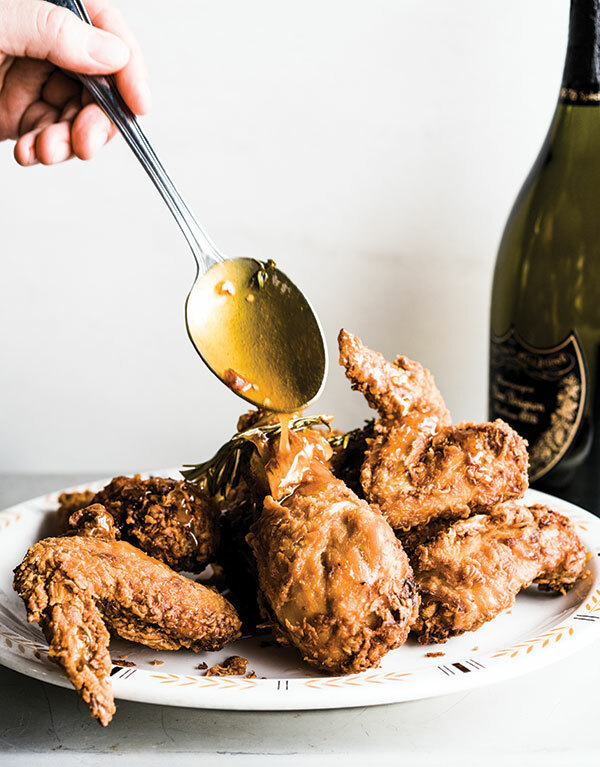 It’s just such a beautiful dish, and the skillet is the perfect environment to cook it in with that consistent heat.” And when the craving strikes for a crunchier bird, Ashley whips up a batch of her mom’s fried chicken. When this golden-fried favorite makes an appearance on the menu, it gets the skillet treatment as well. “You don’t get that fluctuation of heat when you add chicken to the oil in a skillet like you do with a more reactive pan,” Ashley explains. “And the depth is great—the chicken gets exposed to oxygen as you’re flipping it so you get that crunchy crust.” A drizzling of honey usually finishes the dish, adding a salty-sweet-savory combination that keeps guests coming back for more. The sheer popularity of these familiar dishes proves that Ashley’s concept of doing the classics and doing them better is a winning theme. 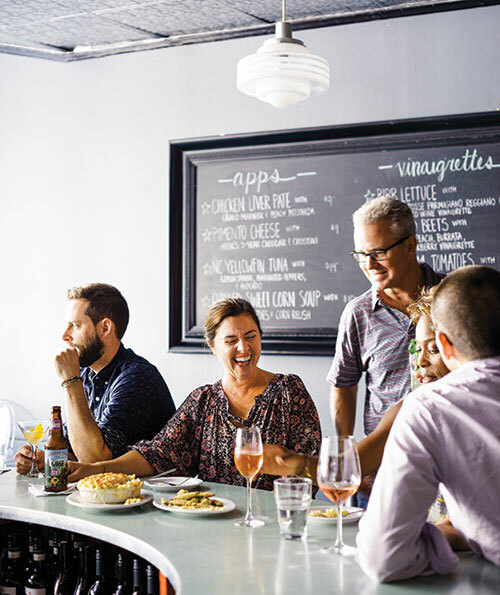 Keeping the tradition and heritage of Southern comfort food alive and thriving is the mission of this modern diner and its chef. To Ashley, food represents a connection between past and present—a conduit of emotions, memories, and history—much like the cast-iron skillets it’s cooked in. 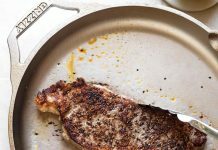 “I love the idea of cast iron being handed down,” she says. “It’s such an incredible thing that sort of tells the story of all the people who cooked in it.” And like the hearty fare that fills the menu at this new-meets-old-school diner, cast-iron cookware will keep telling the story of the South, one dish at a time. Combine 6 tablespoons salt, the sugar, and 4 cups water in a large pot and stir until the salt and sugar dissolve. Add remaining 4 cups cold water. Add the chicken pieces. Cover and refrigerate for 8 to 12 hours. When you’re ready to fry the chicken, pour enough oil into a large cast-iron skillet to come halfway up the sides and heat until it reaches 325° on a deep-fry thermometer. Meanwhile, put the flour and remaining 1 teaspoon salt in a paper grocery bag, fold closed, and shake to combine. Fill a large bowl with the buttermilk. Line a baking sheet with paper towels. Remove the chicken pieces from the brine and pat them dry. Discard the brine. One by one, dip the chicken pieces in the buttermilk, lift to drain the excess back into the bowl, then place in the grocery bag with the flour mixture. When all of the chicken is in the bag, fold the bag closed and shake for about 30 seconds to coat the chicken thoroughly with the flour mixture. Lift the chicken pieces from the bag and shake off the excess flour. Add the pieces to the skillet in batches, making sure not to crowd the pan and adjusting the heat of the oil as necessary to maintain 325°. Fry the pieces, turning once, until done (155° for white meat, 165° for dark meat); this will take about 9 minutes for wings and drumsticks, 11 to 12 minutes for thighs and breasts. Transfer the chicken to the lined baking sheet, and let rest for at least 10 minutes. While the chicken rests, make the hot honey. Warm the honey, garlic, thyme, rosemary, and chiles in a small saucepan over low heat for 5 minutes; the honey will begin to foam slightly. Remove from the heat and add the butter, gently swirling until it’s completely melted. Arrange the chicken on a platter and spoon some of the hot honey and herbs over the top of the chicken. Pass around the remaining honey on the side.